Firmware or software that can be used to support the operation of nanodevices or system with nanodevices. 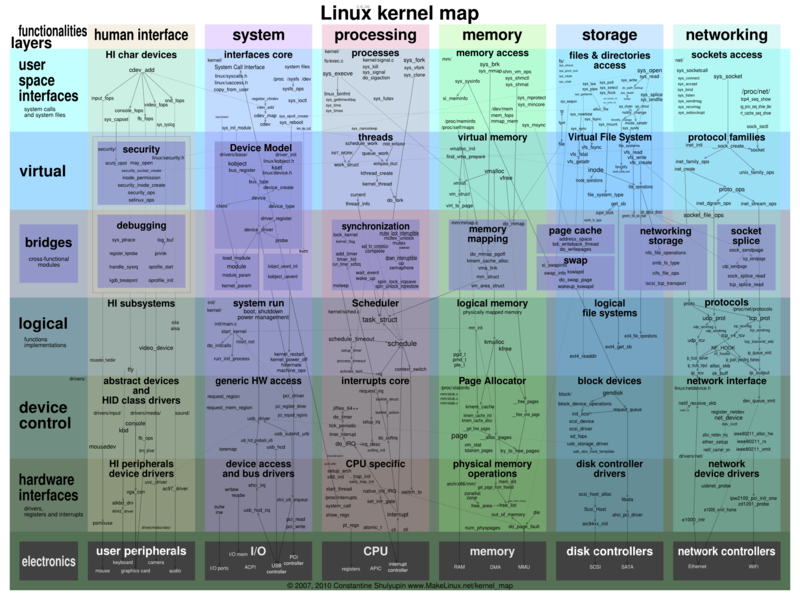 My include assembly language, C, or similar languages, and operating systems. Stack Exchange has a good article containing a extensive list of Mathematica programming language references. The references include introductory guides, programming style guides, tutorials, FAQ, books, examples, blogs, and related sites. Amazon has made its Deep Scalable Sparse Tensor Network Engine (DSSTNE) available open source at GitHub. DSSTNE solves deep machine learning problems and is used extensively on Amazon.com as part of the product recommendation functions of the site. Google I/O 2016 will be held May 18-20. Many of the talks will be streamed live. Gillian Jacobs directed a wonderful short film about Grace Hopper called The Queen of Code. The film chronicles her life and involvement in computer science. 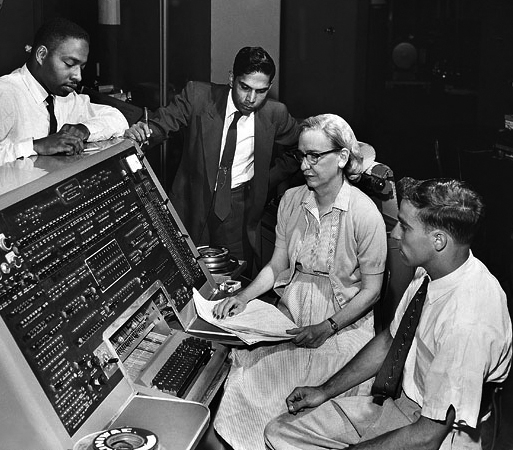 Grace Hopper was a professor of mathematics and joined the war where she worked on the Harvard Mark I computer. Her team developed the first compiler. She later developed the first human readable computer programming language COBOL (COmmon Business-oriented Language). It is still in use today. NIST has developed an Advanced Combinatorial Testing System to reduce the time it takes to test software. The method can trim test planning and design costs by up to 20 percent and improve the quality of the product during development. Lockheed Martin worked with NIST on a two year study to evaluate the process. The results have been so good they are planning on expanding using the system on other programs. The 3MF consortium has released a new open source 3D file format called 3MF for additive manufacturing. The new format gets around the limitations of the .STL format and others too. The format was developed by Shapeways, Dassault Systemes, FIT AG/netfabb GmbH, Microsoft, HP, and Autodesk. The 3MF code library lib3FM is available for download from github. President Obama codes with middle school students as part of his efforts the encourage young people to code as part of a Hour of Code event. 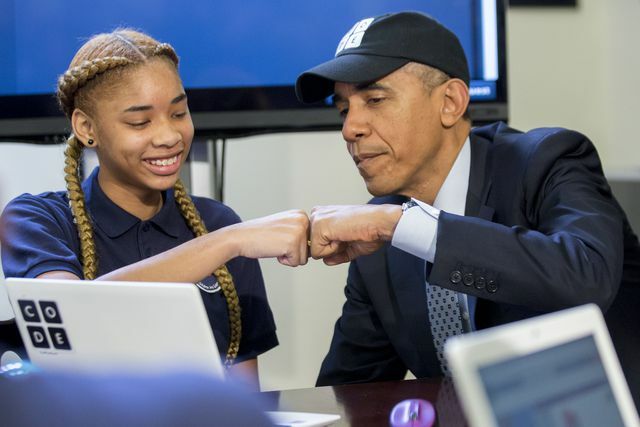 The report indicates that President Obama is the first present to code. 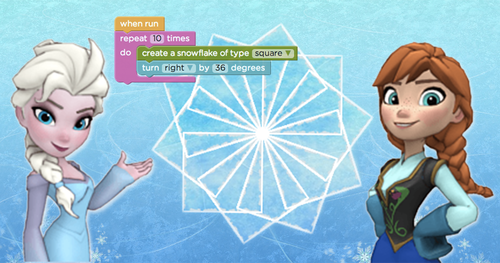 President Obama's code was part the tutorial Code with Anna and Elsa. A video archive of the 2014 Google Cloud Roadshow is now available. I attended the roadshow at the Google NYC office in August and am still amazed at the scale of their cloud and data. The slides for these presentations are also on archive as well. The AWS Summit 2014 New York keynote is now available on archive. The AWS Summit was pretty amazing. I had no idea that Amazon had such impressive cloud systems, and that the tools are certified to be complaint with HIPAA, ITAR, and many other regulations. The slides for many of the presentation are also available. I was happy to learn that Arduino is number 19 on the list and is used for embedded programming. Fortran makes the list at number 24, VHDL comes in at 28, and Forth ranks 47th. This talk from Google I/O 2014 is really cool. Learn about Curiosity and robot mobility, and robot technology to help a mostly parallelized 7 year old girl communicate. You can catch some of the Google I/O talks on archive now. This talk describes three project Google is working on. Duet is a hand drawn animation tool for producing animations on your phone. Disney animators were engaged in this effort. It some really neat stuff. The Google I/O conference is to be streamed & extended to hosted location around the world June 25-26, 2014. Topics cover web development, Android development, big data, and wearable computing to name a few. Google has a new website, Made with Code, to inspire girls to code. Chelsea Clinton, Girls Inc., Girl Scouts of the USA, Mindy Kaling, MIT Media Lab, National Center for Women & Information Technology (NCWIT), Seventeen and TechCrunch are all supporters of this effort. It looks to be free. I tried the bracelet lesson and Shapeways (3D Printing company) will make your bracelet for you for free so that's cool. A number of companies joining forces to offer scholarships for online degrees at Udacity. These nanodegrees are in web development, IOS development, and data analysis. Udacity estimates it will take 6-12 month to complete the program after you pass the entrance exam to prove you have the prerequisites. In theory, graduates should have a job when they graduate. At first, I thought nanodegrees were related to nanotechnology but it appears to be related to the degree which might be more like a certificate. Processing 2 is a programming language, development environment, and online community that promotes software literacy. The tools are open source and free. The language is based on BASIC and Logo, uses a visual context, is used in education, and has been supported by the NSF. There are some very neat graphical examples with the code used to generate the images or animations. Mathematica has posted a video lecture from on of their workshops describing how to create the Space Invaders video game using the Dynamic function.